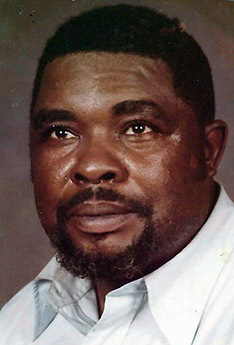 Eugene Washington, Sr., 84, New Haven, entered eternal rest on April 3, 2019. He was the beloved husband of Mae Washington. Mr. Washington was born in Greenville, NC, on April 22, 1934, a son of the late David Washington and Fannie Darden Washington. Prior to retiring, he was employed at Leonard Concrete Company as a Concrete Pipe Maker. Eugene was a member of St. Mary’s UFWB Church. In addition to his wife, he leaves to cherish loving memories, daughters, Linda Diane Fields (Curtis) and Donna and Lillie Washington; sisters, Fannie Mae Tisdale (George), Laura Mae Credle (Leon), Polly Hines and Jeanette Jones (Willie); a son in-law, Paul McRae; 10 grandchildren; 23 great grandchildren; 2 great-great grandchildren; and other relatives and friends. He was predeceased by a son, Eugene Washington, Jr.; a daughter, Troy Washington-McRae; 3 grandchildren; a great grandchild; and 9 sisters and brothers. A celebration of Mr. Washington’s life and legacy will be held Wednesday, April 10, 2019, at 11:00 a.m. at Christ Chapel New Testament Church, 220 Dixwell Ave., New Haven. Viewing will be held at the church from 10:00-11:00 a.m. Burial will be in Evergreen Cemetery.